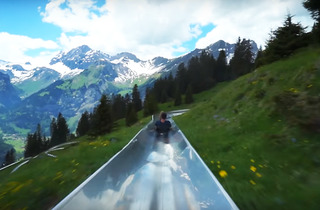 Rising above Oeschinen Lake, this 750-meter-long toboggan run provides thrills, fun and adventure for all ages, as well as offering stunning views of the surrounding Doldenhorn mountains. 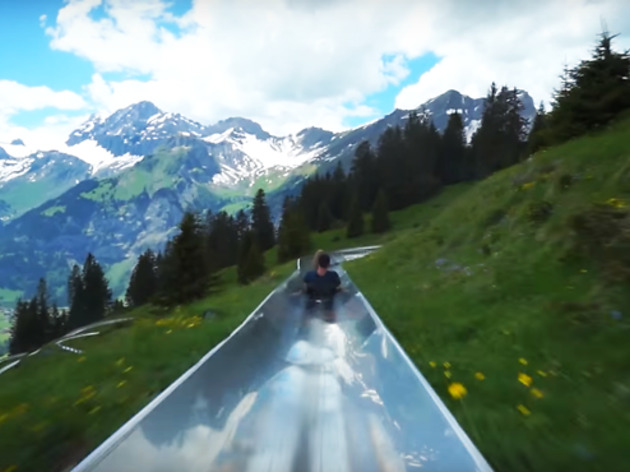 The toboggan run is right by the Oeschinen station and in the summer months is a great starting point for trips to the idyllic lake. Take the cable car (about 8 minutes) from Kandersteg to Oeschinen. Alternatively, it can be reached via the trail from Kandersteg. The walk takes 1.5 hours.